This is a nice shady spot, and you can still see everything. Wrigley Field With Kids, Tip #1) Try Terrace Reserved Seats. You may want to sit in the Terrace Reserved sections (and avoid obstructed views), especially on hot summer days. 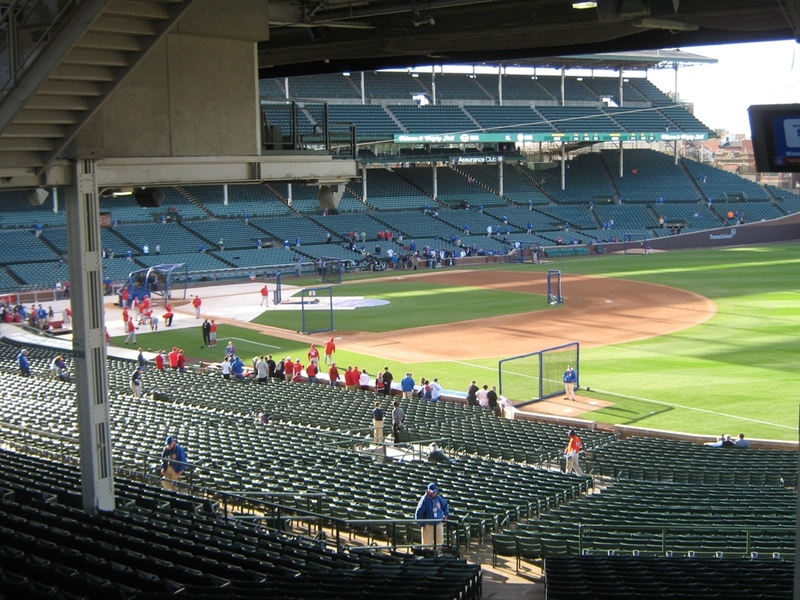 They have several advantages over the similarly priced bleacher seats…they’re in the shade, and you’re less likely to hear the colorful language of some bleachers fans. 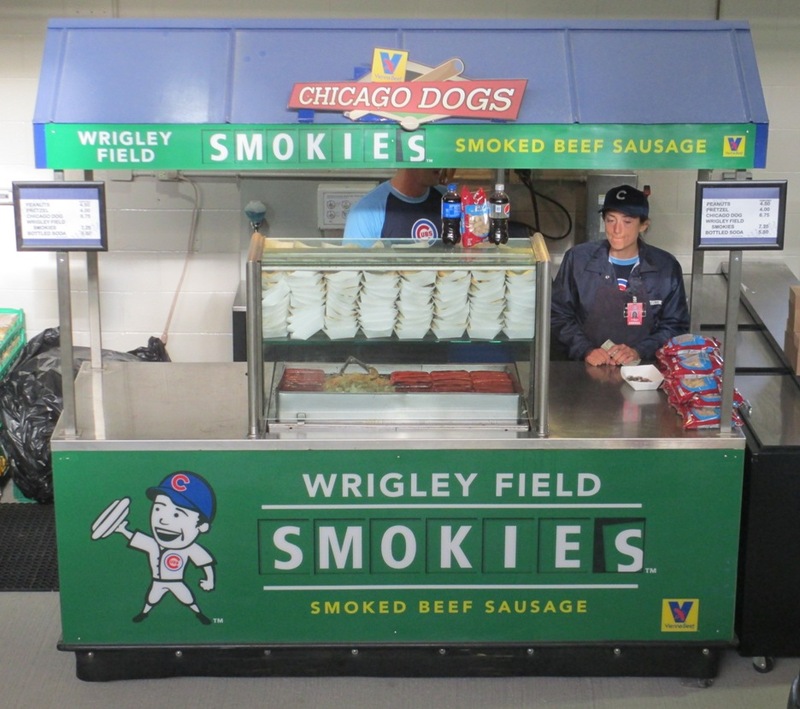 And by Wrigley standards, the Terrace Reserved seats are more affordable for families, no small thing here. Even though, in most other aspects of their life, they’ll be expected to grow up a bit. Wrigley Field With Kids, Tip #2) Join The Kids Club. 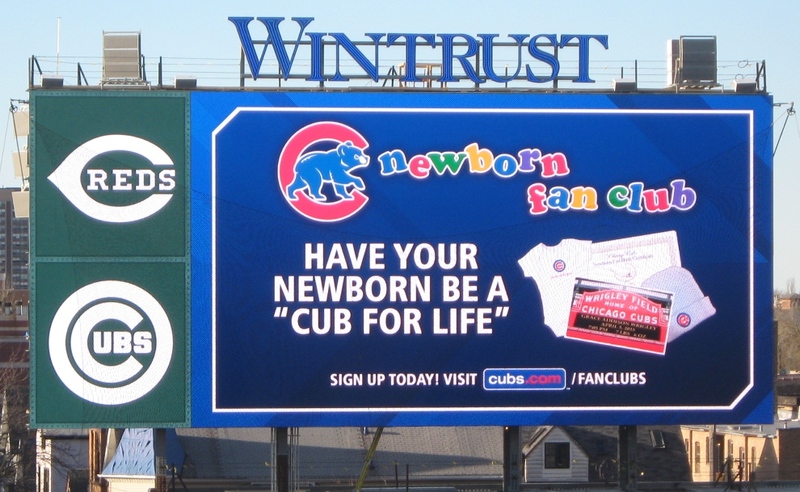 The “Clark’s Crew” Cubs Fan Club membership for kids now includes a game ticket (woo-hoo! ), and the kid gets cool stuff like a backpack and lanyard too. Look for the “Fans” section of the Cubs’ website. The benefits are well worth the cost. Membership includes newsletters and merchandise discounts, and front of the line access on run the bases Sundays. I’m sure he has an important point to make. Wrigley Field With Kids, Tip #3) Go On Sundays. And Go Early. The Cubs offer a chance for the kids to run the bases at Wrigley Field (and that’s pretty cool, isn’t it?). Just get there early, so you can get a wristband for the kid when you come in. They’re playing the “go back to your seat” song. 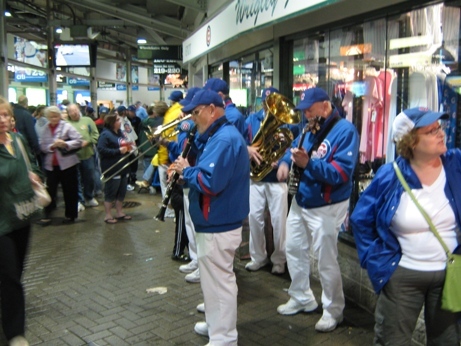 Wrigley Field With Kids, Tip #4) Keep A Close Eye On The Kids. The Wrigley concourses get very crowded, especially for the last hour before the game starts, and it’s easy to lose track of someone small. 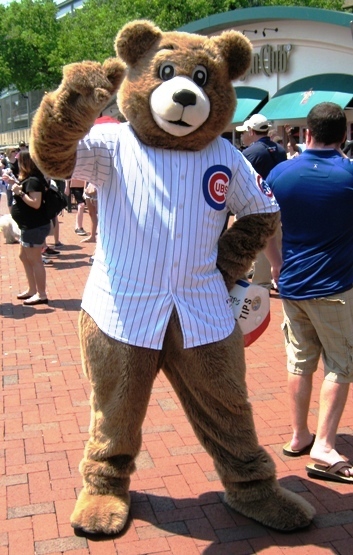 Be sure the kid knows what to do in case you get separated…show them what Cubs employees look like and all that. It’s a crowded place outside too, so just be aware. So there is, I hope, some useful advice for doing a Cubs game with the little ones.